During the review and revision process for the Colorado Academic Standards (CMAS), the science committee recommended and the State Board of Education adopt an adaptation of the Next Generation Science Standards for Colorado. At the time, there was recognition among the state board and CDE that this shift was more substantial than any of the other content areas and may require more time for implementation. CDE recently solicited feedback on the option to extend the implementation timeline for the science standards only. As a result, full implementation of the science standards will take place in the 2021-22 school year. CMAS science assessments will transition to covering the 2020 standards in science no sooner than the full implementation. The legislated timeline for districts to transition to the revised standards allows for two years with full implementation to occur during the 2020-21 school year. The 2020-21 CMAS for mathematics and English language arts is expected to be based on the 2020 Colorado Academic Standards. For more information, contact Joanna Bruno at 303-866-6571 or bruno_j@cde.state.co.us. The MoneyWi$er Financial Innovation Awards will recognize distinguished school districts, schools and individuals who prioritize personal finance education throughout their school and community. In addition to statewide recognition for the awards, honorees will be awarded funds to continue elevating personal finance education in Colorado and their communities. The MoneyWi$er Awards are presented by the Office of the Colorado Attorney General in partnership with CDE. To apply for the awards, complete the online application via Survey Monkey by Friday, June 28. For more information, contact Alyssa Wooten at wooten_a@cde.state.co.us or 303-866-6875. For more information, visit the Personal Financial Literacy webpage. Watch for more information in next month's Update. For more information, contact Floyd Cobb, executive director, 303-866-6868, cobb_f@cde.state.co.us, or visit http://www.cde.state.co.us/teachingandlearning. Every district and school must submit a revised or updated Unified Improvement Plan (UIP) by Monday, April 15. Districts and schools with a Performance plan type may submit plans biennially. View customized directions in the online UIP system or read the UIP Biennial and Combined Eligibility 2019 (XLS). For schools and districts that submitted UIPs for the January deadline, CDE feedback was made available in the online system in early March in the Collaboration tab. Feedback specifies if there are any required changes and the timeline for revisions. For questions, contact Lisa Medler, executive director of Improvement Planning, at medler_l@cde.state.co.us or 303-866-6993, or Lisa Steffen, project coordinator, at steffen_l@cde.state.co.us or 303-866-6676. More information is available on the UIP webpage. Alternative Education Campus (AECs) reapplying for the 2019-20 school year and schools applying for AEC designation for the first time will have their pre-populated data uploaded to the Data Pipeline system automatically. The AEC renewal/application collection must be submitted through Data Pipeline by Friday, April 26. To gain access to this system, your district’s local access manager should grant permissions for the AEC~LEAAPPROVER role. Details about the collection are available on the AEC Collections webpage. Contact B Sanders at sanders_b@cde.state.co.us or 303-866-2865 with questions. The calculation of matriculation rates for state accountability determinations relies on data provided by the Colorado Department of Higher Education and includes enrollment for community colleges, four-year institutions, CTE and/or certificates or degrees earned prior to graduation. To date, industry-recognized credentials are not included in the matriculation rate calculation because they are not available from a single source. For a second year, during the month of April, the Accountability & Data Analysis Unit will allow an optional data submission of industry-recognized credentials that were earned prior to graduation for the class of 2018. For more information, visit the DPF and SPF Resources webpage. 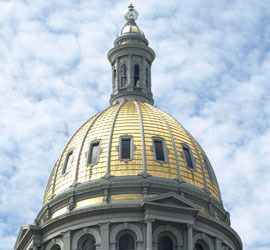 Contact Dan Jorgensen at jorgensen_d@cde.state.co.us or 303-345-8981 with questions. April 15: All school and district UIPs must be submitted to CDE for posting on SchoolView. April 26: AEC renewal/applications due through Data Pipeline. For more information, contact Alan Dillon, associate commissioner, 303‐866‐6202, dillon_a@cde.state.co.us or visit https://www.cde.state.co.us/accountability. Assessments administered by the unit include summative content assessments, English language proficiency assessments, college/career ready assessments and alternate content assessments for students with significant cognitive disabilities. The Colorado Measures of Academic Success (CMAS) are the state tests in English language arts, math, science and social studies. 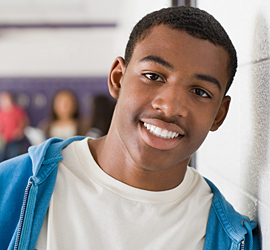 The PSAT and SAT are administered to high school students in grades 9-11. Colorado's testing window for all spring 2019 CMAS and alternate assessments will be April 8-26. For the CO PSAT, districts have the choice of April 9, 10 or 11 as their testing dates. The official test date of the CO SAT is April 9. More information and testing dates are posted on the General Assessment Information webpage. Scorable and non-scorable assessment materials must be returned to the assessment vendor upon completion of testing. Scorable CMAS materials must be picked up by UPS from the district no later than Wednesday, May 1, and non-scorable CMAS materials must be picked up by UPS no later than Friday, May 3. College Board will schedule pickup of PSAT and SAT materials from the school the day after the initial test date; make-up testing materials will be picked up from the school on the day following the make-up test date. All PSAT/SAT materials must be picked up no later than Friday, April 26. A toolkit with communications materials for district staff, teachers, parents and students is available. Resources include information on how to understand the CMAS, PSAT and SAT scores, how the scores are used and how to use score reports to support students. These materials are designed to help districts and schools communicate with parents about the CMAS, PSAT and SAT scores. Access them on the Parent and Family Resources webpage. For additional questions regarding the communications materials, please contact Jeremy Meyer, director of the communications unit, at meyer_jeremy@cde.state.co.us or 303-866-2334. After assessment administration, District Assessment Coordinators (DACs) and data respondents can update student demographic data and apply invalidation codes, including parent excusal, to student records. DACs have been provided with specific details about how to provide information for each assessment. Districts also have the opportunity to review and make corrections to demographic and invalidation data through CDE’s voluntary Student Biographical Data (SBD) review process. The remaining SBD windows for this year are included in the table below. A Parent Excusal Coding Fact Sheet is available to help districts (PDF). *Because multiple steps must be taken before a DLM Special Circumstance Code can be applied for a student within the KITE system, CDE recommends that districts apply these codes during SBD. **PSAT/SAT invalidation codes, including parent excusals, can be indicated on the State Use section of the answer document or through SBD. Weekly: Assessment Office Hours for DACs. April 10: UPS materials pick-up from CO SAT primary administration date. UPS will also pick up any completed CO PSAT materials. For schools administering the CO SAT & PSAT at an off-site location, materials will be picked up from the off-site testing location the afternoon of Apr. 9. *PSAT/SAT materials shipped after April 26 will not be scored. For more information on assessments, contact Joyce Zurkowski, chief assessment officer, 303-866-6929, zurkowski_j@cde.state.co.us, or visit http://www.cde.state.co.us/assessment. Each year, Colorado districts and BOCES are required to submit assurances that they are implementing the State Model Evaluation System or another evaluation system that is aligned with Senate Bill 10-191 and Colorado State Board Rules for Written Evaluation Systems. 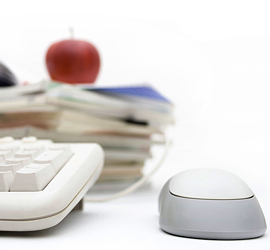 In an effort to streamline the process and reduce the burden on districts and BOCES, assurances are collected via an online submission form and information is only collected for one year: the upcoming 2019-20 school year. Prior to accessing the online submissions form, please review the step-by-step instructions for submitting 2019-20 assurances to ensure all documents are completed for the submission, including the required superintendent’s and board chair’s signatures. Please note that once you begin the online submission process, you are unable to save any materials or data previously added to the submission form to return to later. The 2019-20 assurances must be submitted by Friday, June 28. For additional information, including access to the online submission form and step-by-step instructions, visit the Educator Effectiveness Assurances webpage or contact Carolyn Haug at haug_c@cde.state.co.us or 303-866-6923. CDE and the State Board of Education are seeking feedback on the Rules for the Administration of the Educator Licensing Act of 1991 (1 CCR 301-37), Rules for the Administration of Educator License Endorsements (1 CCR 301-101) and Rules for the Administration of a Statewide System to Evaluate the Effectiveness of Licensed Personnel Employed by School Districts and BOCES (1 CCR 301-87). The online feedback form is now closed. However, written comment can still be sent to state.board@cde.state.co.us until Tuesday, April 9, or you can attend the rulemaking hearings during the State Board of Education meeting in April 2019 to provide testimony. Additional information is available on the Educator Talent Rules Feedback webpage. For more information, contact Colleen O'Neil, associate commissioner, 303-866-6945, oneil_c@cde.state.co.us or visit https://www.cde.state.co.us/educatortalent. During the 2018-19 school year, CDE will continue to implement its State ESSA Plan that was approved by the U.S. Department of Education in May 2018. Several ESSA requirements go into effect this year, and the Unit of Federal Programs Administration will use the CDE Update to inform superintendents of these requirements. Schools identified for Comprehensive Support and Improvement (CS) under ESSA must submit an improvement plan to CDE for review and approval. In Colorado, the Unified Improvement Plan (UIP) is used to meet the ESSA CS improvement planning requirements. 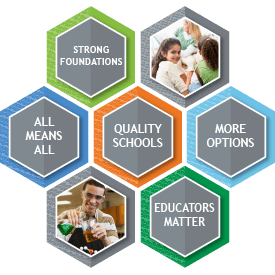 Schools that are identified as CS under ESSA, but do not have an SPF rating of Turnaround or Priority Improvement must submit their CS improvement plans or UIPs through the UIP online system by Monday, April 15. For additional information, contact Nazanin Mohajeri-Nelson at mohajeri-nelson_n@cde.state.co.us or 303-866-6205, or Laura Meushaw at meushaw_l@cde.state.co.us or 303-866-6618, or your district’s ESEA Regional Contact (DOC). Post-award revisions (PAR) to local consolidated application plans will be accepted through Tuesday, April 30. Regional contacts from the ESEA office will review the requested revisions and respond with approval or follow-up questions. A recorded webinar is available via Adobe Connect about the process prior to submitting any revision requests to CDE. For questions, including login information, connect with your district’s ESEA Regional Contact (DOC). View the 2018-19 Consolidated Application PAR webpage for helpful resources. The 2019-20 Consolidated Application platform is live and applicants may begin using the online system to update their LEA plans, as needed, as well as to enter their 2019-20 proposed budgets. The 2019-20 preliminary allocations for Title I, Part A, Title II, Part A, Title III, Part A, Title III-SAI and Title IV, Part A have been pre-populated in the application platform. CDE will update the preliminary allocations for the Title V program after information has been received from the U.S. Department of Education. The Office of ESEA is hosting Series 3 of the ESEA network meetings to support local education agencies (LEAs) in completing the 2019-20 Consolidated Application. All sessions begin at 9:30 a.m. with lunch provided. Those unable to attend in-person may reach out to their ESEA Regional Contact (DOC) to schedule training support. More information can be found on the 2019-20 Consolidated Application webpage. For questions contact your district’s ESEA Regional Contact (DOC). For more information on Federal Programs, contact Patrick Chapman, executive director, at 303-866-6780 or chapman_p@cde.state.co.us or visit http://www.cde.state.co.us/fedprograms/essa. The Report Card March collection is open until Friday, April 12. The Alternative Education Campus (AEC) application/renewal is new to Data Pipeline this year. It will close Friday, April 26. The four-day school week application for 2019-20 will be open until Friday, May 10. Districts may request school code changes for the 2019-20 school year. These requests must be made by Friday June 28. District calendars for 2019-20 may be entered between now and Friday, July 12. The 2018-19 Designated Agency collection is open. Designated agencies may enter 2018-19 candidates into the Data Pipeline until Friday, Aug. 30. The Reading to Ensure Academic Development (READ) collection is now open until Monday, July 1. All districts must submit files by Friday, June 14, at which time the cross LEA validation process commences. Districts can access the Migrant Student List through Data Pipeline. Monthly, LEAs can access a Cognos Report in Data Pipeline entitled “Migrant Student List”, which can be pulled by school year and district and is located under the “Student Profile Link” under the COGNOS reports tab. The district must have the STD LEAUSER or STD LEAVIEWER roles in order to see the Student Profile folder in Cognos. The COGNOS Migrant List/Report has the following columns: SASID, Last Name, First Name, Birth Date, School Code, Migrant Arrival Date and Migrant End Date. The report can be downloaded into Excel and from there imported into the Student Information System (SIS). For questions regarding migrant lists, reach out to your local contact who coordinates and deliver services to migrant students. Contact information can be found on the Migrant Education Program webpage. The 2018-19 TSDL collection is on pause, meaning that for this year it is an optional collection except for districts serving migrant students. CDE put this year’s collection on pause in order to solicit stakeholder input. Toward that end, last fall we established stakeholder group and obtained the help of the Education Commission of the States (ECS) to facilitate it. The stakeholder group arrived at a set of recommendations that CDE is actively considering. Namely, the stakeholder group recommends that CDE take steps to improve and streamline the TSDL collection and make the data collected in TSDL more useful to districts. In an effort to implement these recommendations, this spring CDE will engage in a detailed re-examination of data elements across CDE collections to specify source requirements and identify redundancy. In the 2019-20 school year the TSDL collection will resume, pending any legislative changes this session, with at least one significant reduction in effort: student records required to be submitted for TSDL will be restricted to middle and high school students. Other changes to TSDL remain unknown at this point, pending results of the re-examination of data elements. Additionally, offices reporting on TSDL data will consider how to make their reports more useful to districts as the work on the data elements unfolds. For districts with migrant students, 2018-19 migrant student course mapped and enrollment data must be reported no later than Friday, June 28. The 2018-19 End of Year snapshot is now in a soft open phase so that districts can take snapshots. Business rules and documentation will continue to be updated through the spring with updated training in May. Four-day school week applications are due Friday, May 10. The Alternative Education Campus (AEC) Planned Measures Collection, Alternative Education Campus (AEC) Actual Measures and Data Collection, School Discipline and Attendance (SDA), Special Education Discipline and Special Education End of Year collections will all also open in May. CoAlt Alternate English language arts & mathematics (Dynamic Learning Maps). For more information on data pipeline, contact Jan Petro, director of data services, 303-866-6838, petro_j@cde.state.co.us or visit http://www.cde.state.co.us/datapipeline. The Advanced Placement Exam Fee Grant Program is now open. The program is intended to increase the number of eligible students who take advanced placement exams by providing funds to high schools to pay all or a portion of exam fees on behalf of eligible students. For the 2018-19 school year, this program will reimburse districts up to $62 per exam taken by eligible students. Districts and schools that would like to participate in the Advanced Placement Exam Fee Grant Program must complete the Intent to Participate survey. For questions or concerns, reach out to Marina Kokotovic at kokotovic_m@cde.state.co.us or 303-866-6267. The required Intent to Participate form in which districts/charter schools request ASCENT slots for 2019-20 is due Wednesday, May 1. Access the form online via Survey Gizmo. Visit the ASCENT Program webpage for information on the participation process. Contact Mary Anne Hunter, at 303-866-6596 or hunter_mary@cde.state.co.us, with questions. For more information on Student Pathways, contact Misti Ruthven, executive director, 303-866-6206, ruthven_m@cde.state.co.us or visit http://www.cde.state.co.us/postsecondary. Because substantial changes were made to Colorado’s science standards in the revision that was approved in 2018 by the State Board of Education, districts will be given extra time to adapt to the changes. The extension will also apply to the first administration of the revised Colorado Measure of Academic Success (CMAS) assessment in science. State law requires all of the state’s academic standards to be reviewed and, if necessary, to be revised every six years. Last year, all of the academic standards were reviewed and revised, but the science standards got the biggest overhaul. The state’s adaptation of the Next Generation Science Standards provides students a more experiential approach to learning science. The new 2020 Colorado Science Standards emphasize more critical thinking and application of science concepts to align with the needs of today’s learners. Students will get more hands-on experiences and will be required to collect data and provide evidence-based explanations. For all of the content areas of the revised standards except science, districts will have until 2020 to complete the revision process with full implementation scheduled for 2020-21. However, districts will be given until the 2021-22 school year to fully transition to the new science standards, with the first revised CMAS assessment in science expected to begin in grades five, eight and 11 no sooner than 2022. The banded nature of the revised middle school CMAS science assessments will most likely require the new standards to be phased in at the middle school level. The revised eighth grade science assessment will cover content students learn in the sixth through eighth grade, so CDE suggests that instruction for sixth-grade students align to the new standards in the 2019-20 school year. The high school science standards have always been banded, and the 11th grade science CMAS has always assessed the breadth of the standards. With this transition in mind, CDE suggests that instruction for ninth-grade students align to the new standards in the 2019-20 school year as well. In March, the State Board of Education approved the grants for state-provided elementary teacher professional development in computer science. These included approvals for the state provided professional development option offered through Colorado School of Mines. For those local educational providers awarded the grant funding for this professional development opportunity, please be sure to have your teachers select the date and location of the regional training of their preference. Dates can be found on the Computer Science Training and FAQ webpage. The State Board of Education voted in March to approve the notice of rulemaking to update rules for the administration of the Colorado READ Act. The proposed revisions to the rules are necessary to bring the READ Act rules into alignment with House Bill 18-1393 regarding the process for including assessments on the state board approved list, how publishers and districts can appeal decisions, and district reporting requirements. Copies of the noticed Rules for the Administration of the READ Act can be found via Board Docs. The rulemaking hearing is anticipated to be held in May. Contact Anji Gallanos, P-3 director, at 720-527-0497 or gallanos_a@cde.state.co.us, with any questions. CDE is requesting feedback from teachers, administrators, families and other stakeholders in education on the initial draft of the model bullying prevention policy. The creation of a model policy was authorized upon passage of House Bill 18-151, also known as Ashawnty’s law. Download the draft and find more information on the policy webpage. All feedback is due Friday, April 12. For questions, contact Adam Collins, Bullying Prevention and Education Grant coordinator, at 303-866-6262 or collins_a@cde.state.co.us. April 12: Feedback on Model Bullying Prevention Policy draft due. For more information, contact Floyd Cobb, executive director, 303-866-6868, cobb_f@cde.state.co.us or visit http://www.cde.state.co.us/teachingandlearning. Please get in touch with your CDE field service member. Director of rural services and contact for the Rural Education Council, Southeast, and Southwest regions.